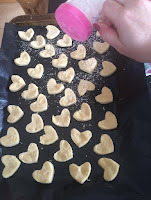 Such a simple little recipe to make yummy shortbread biscuits. I whipped these up today within a matter of minutes. 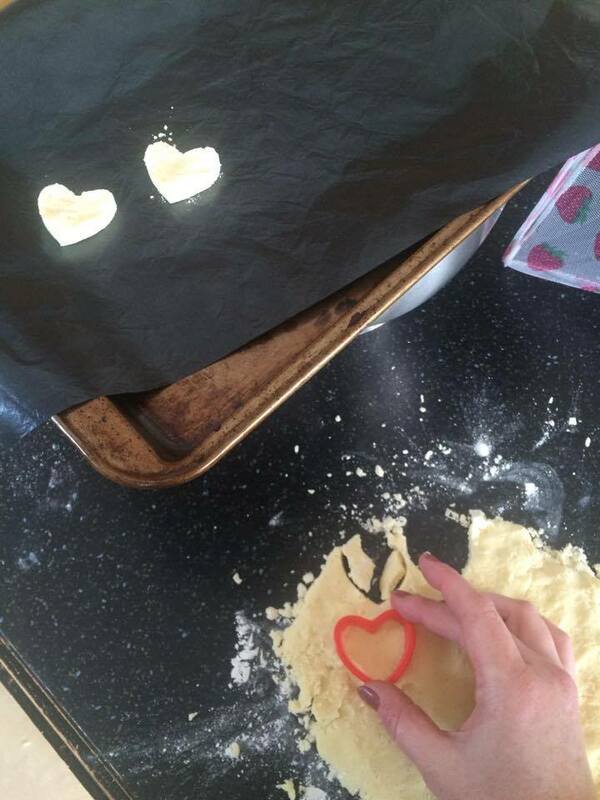 I made mine with a heart shaped cutter, to mark a special occassion. 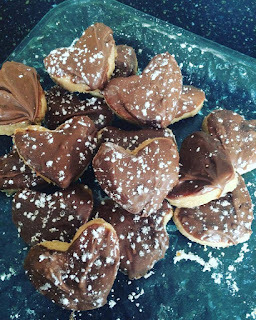 I also used GLUTEN FREE flour, making them a perfect gluten free treat option. These can be made savoury too, by leaving the sugar out and perhaps using herbs or seasoning..... perfect for cheese boards. 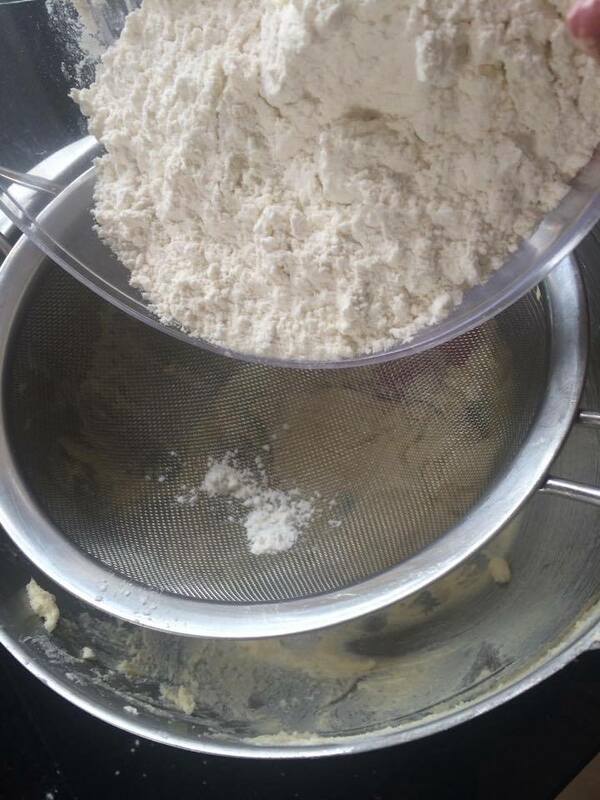 You could easily prepare a batch mix and freeze it in advance of an event or party too. 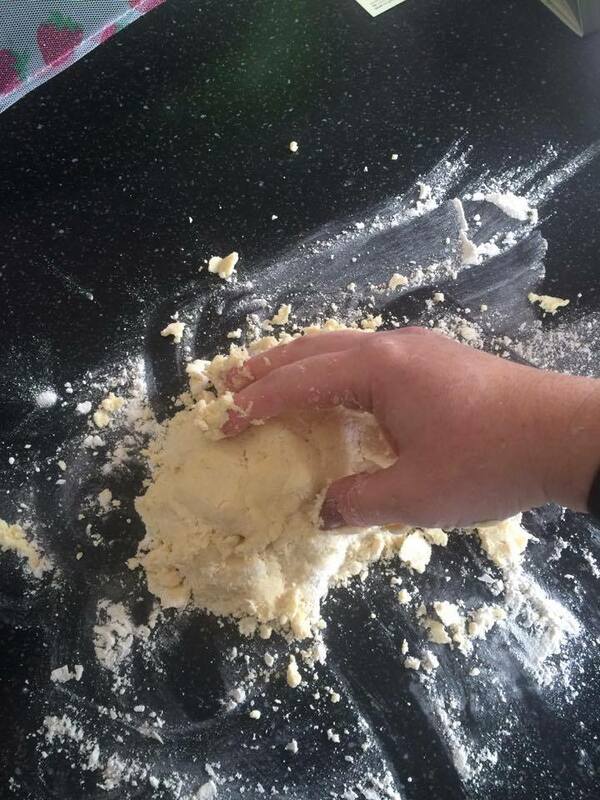 Fold in the flour very gently just until it comes together, then turn out onto a floured board. With floured hands, shape the mix gently and flatten with a floured rolling pin to about 1cm thick (i'm not great with thickness measurements to be honest, so just know, they obviously won't rise - don't shape them too thin!). Use cutter shapes to cut out the biscuits, place on lined baking sheet, dust with caster sugar, cover and chill for 20 mins. Bake in pre heated 190 degree oven for about 15 mins, keeping an eye as they turn dark quite quickly. Cool completely on wire rack before decorating however you like. Today i topped them with melted chocolate. Before serving, dust with icing sugar. 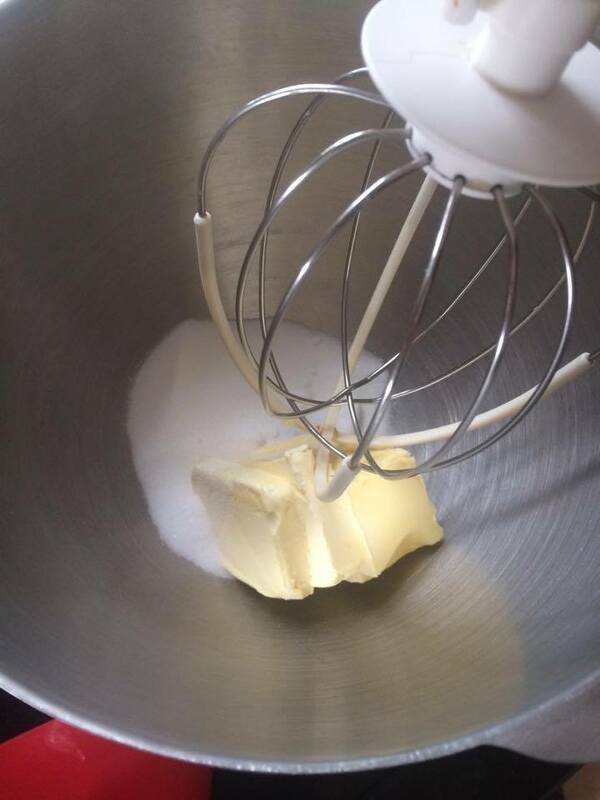 The perfect, quick, but delicious little biscuit.